Providing you the best range of twisted white paper rope handle, twisted brown paper rope handle and right angle flat paper handle with effective & timely delivery. 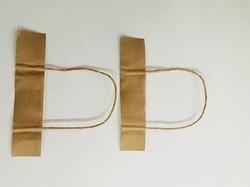 Twisted Paper rope handle for pasting on paper carry bags . Available in both brown and white. 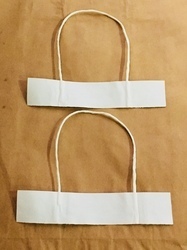 Twisted Paper rope handles for pasting on paper carry bags. Available in both brown and white color. 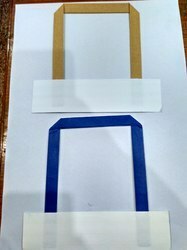 Right angle flat paper handles for paper carry bags. A new sturdy handle introduced in market by us. Available in different colors. For bulk pricing contact us.